This particular design was fun because I am usually someone who strives for balance. But imbalance can be elegant and create something that feels more alive and natural. I have always loved orchids with seemingly random splotches on their petals as though a painter took a brush and flicked it on a pristine white flower with no regard for where the color might land. This results in something exquisitely alive. So I tried to emulate some of those flowers that I have seen and am pretty happy with how it turned out! 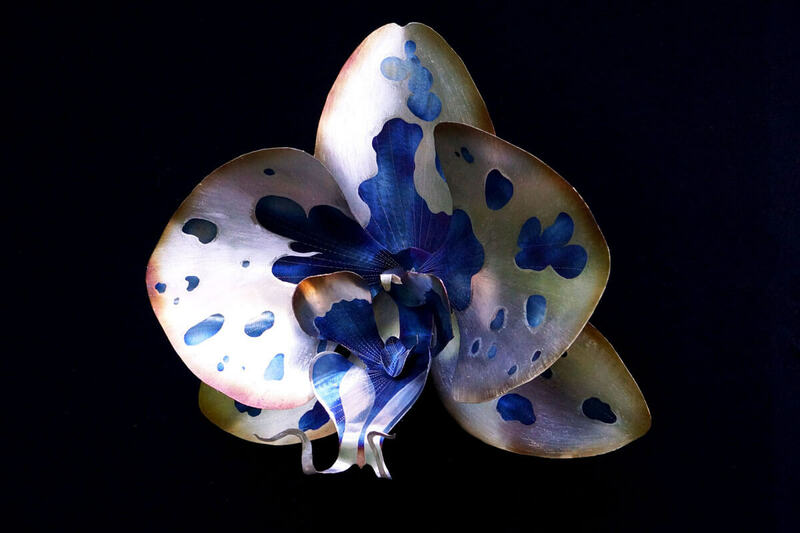 Large white orchid flower with blue spots. 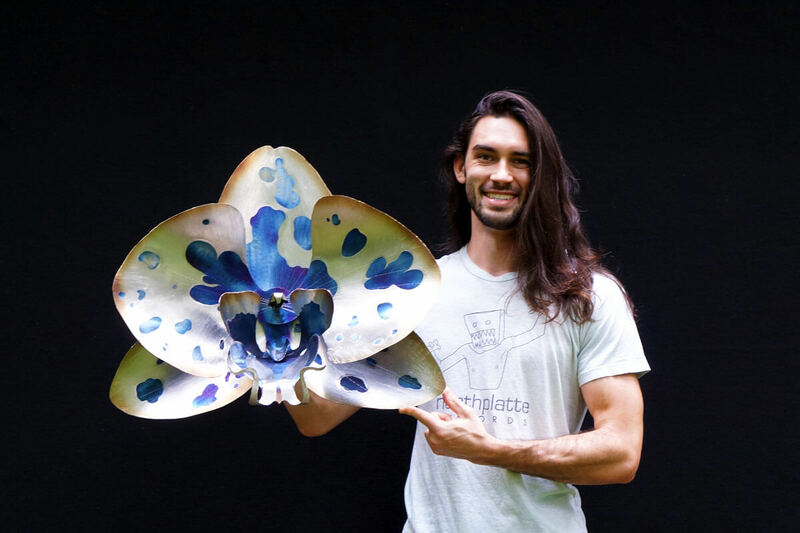 Artist Aiden Dale with large white orchid flower with blue spots. 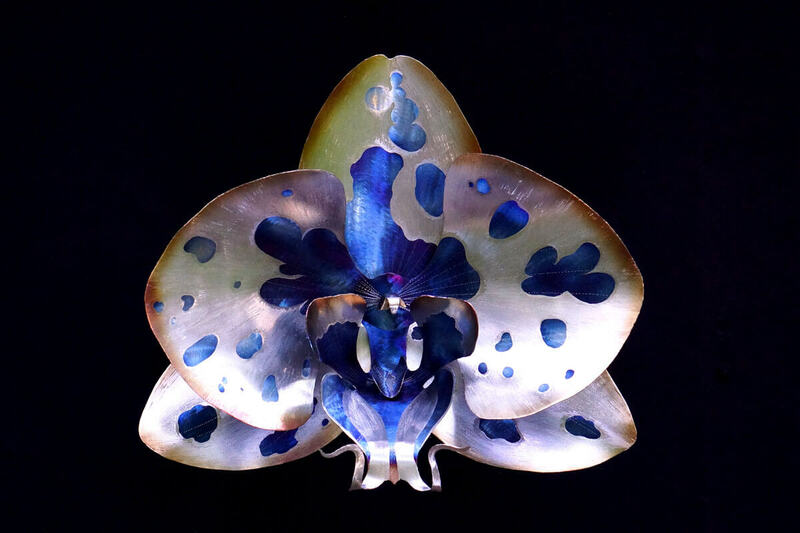 Tilted view of large white orchid flower with blue spots. 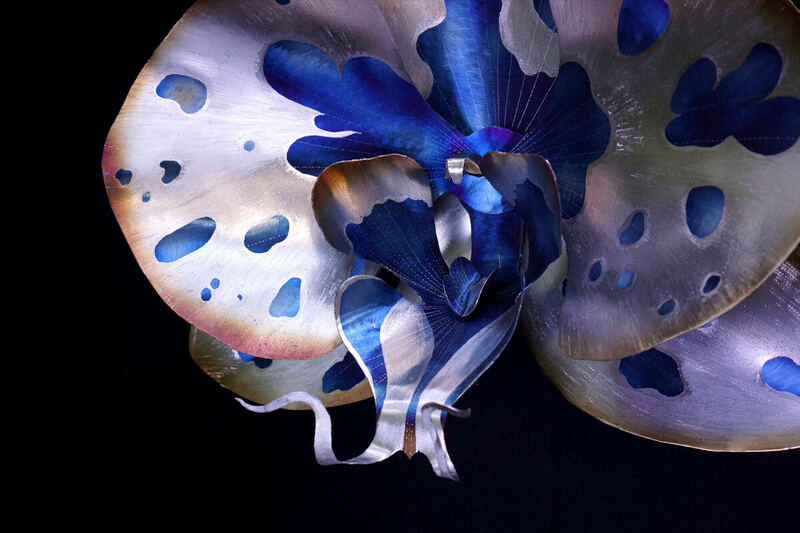 Close up of large white orchid flower with blue spots.